Continuing their treks through the high peaks of Japan, the mountaineering girls are back for more! 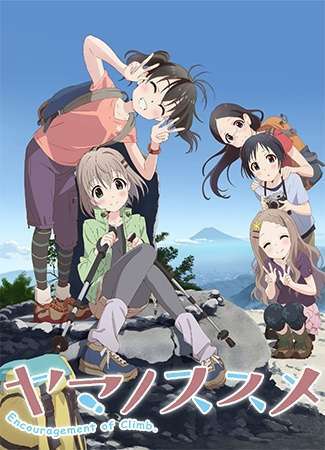 First-year high school student Aoi Yukimura, a shy girl with a fear of heights, and her wildly energetic friend Hinata Kuraue set out once again to conquer the perils of backyard camping trips, summer homework, and even a climb on the mountain of their dreams. Joined by middle school student Kokona Aoba and their knowledgeable upperclassman Kaede Saitou, the squad members are ready to take on whatever slopes and challenges they might face, no matter how steep. Through their shared hobby of mountain climbing, they bond closer than ever and even make new friends on trails all over the country. Whether it is just a local hill or the tallest mountain around, nothing is too much for Aoi and the crew to handle. They will climb, stumble, and rise to even greater heights together!